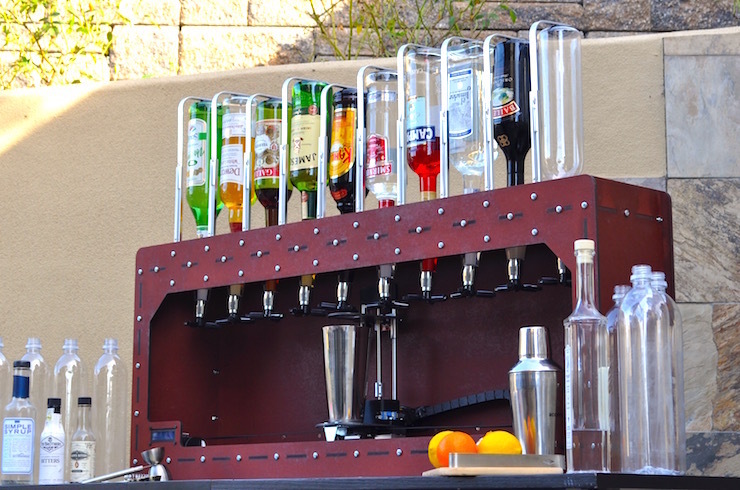 Whether inside or outside, used for one person or a dozen, SirMixABot is a great piece of home bar furniture. 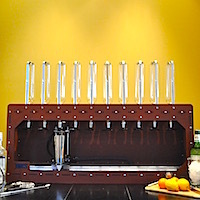 The DIY cocktail crafter can customize their robotic bartender in many ways. It’s a great fit in apartments, houses, and even offices. Below we take a look at a few of the more common applications of the automated bartender. 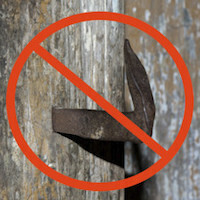 But the sky is the limit, so don’t feel obligated to stick with this list. For most people, food and drinks are found in the kitchen. This makes it a great location for your cocktail companion. 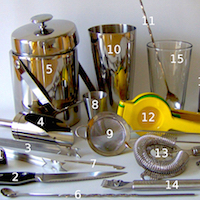 Many budding bartenders consider the kitchen their laboratory. In the quest to make the top cocktails you need some tools at your disposal. Beyond SirMixABot many crafters use bartending kits to add finishing touches to their creations. 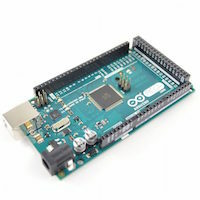 Tools such as peelers and graters are found in the kitchen, so why not have your bot nearby. For many apartments and homes people tend to congregate in the kitchen, so it would make sense to have your helper there too. Want to impress your friends at a dinner party? Then you should likely have SirMixABot front and center in a dining room setting. For many this is likely the location of their liquor cabinet. Pairing (or replacing) that spot with a robot bartender makes it a one-stop-shop for all your cocktail making needs. Even if you’re not an entertainer, depending on your bot size it’s possible that your dining room is the best place to set up your station. 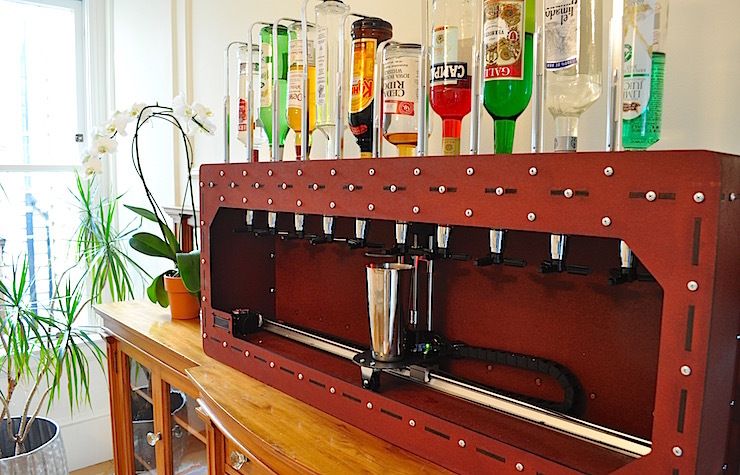 We love how the SirMixABot “Mega” 10-bottle bartender fits on a wet bar or custom home bar. Finishes are customizable to match or accent a ton of different applications. Live in a warm place, or love a good backyard BBQ? Then have no fear, although SirMixABot is larger than most appliances, it’s easy to relocate weighing in at about 25 pounds. It becomes even easier if you remove any liquor bottle pourers, which can be done in a few minutes. 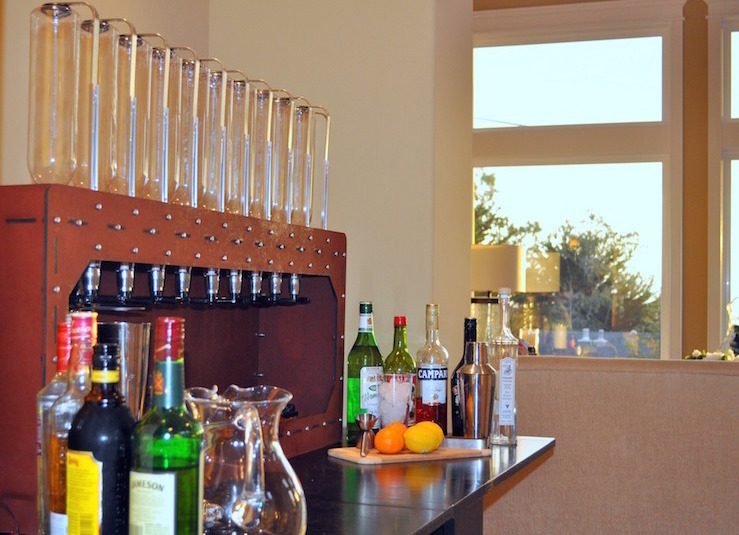 Once outside, you can either set it up on your table, or even devise a custom bar cart. An extension cord will do for power, but a battery powered SirMixABot on wheels is a wild sight to be seen. We guarantee your friends will be impressed in either scenario, so wait for a warm day, and break out those glasses!